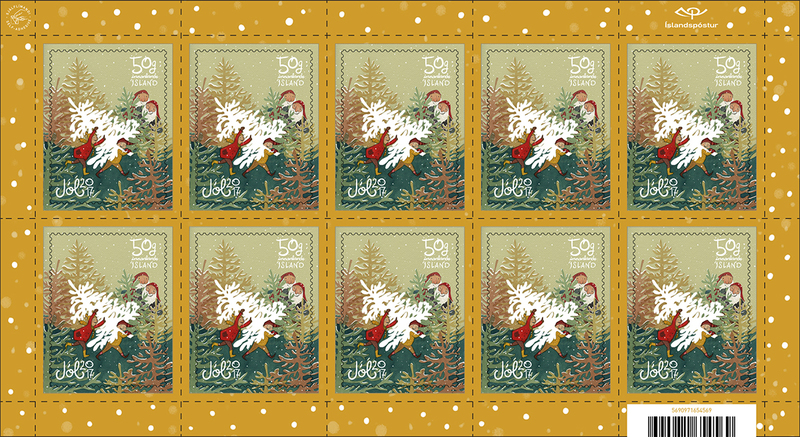 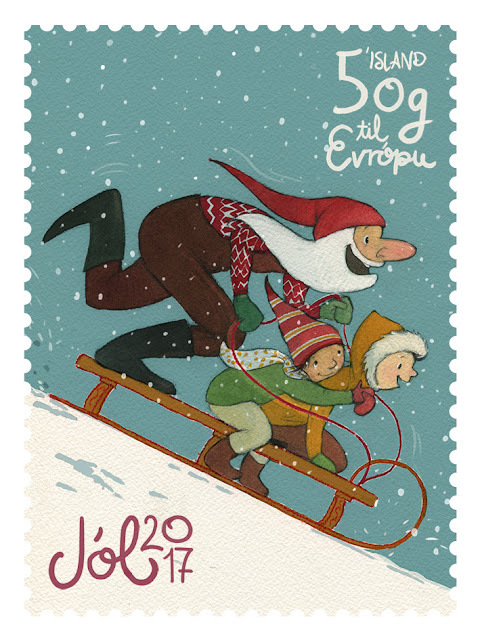 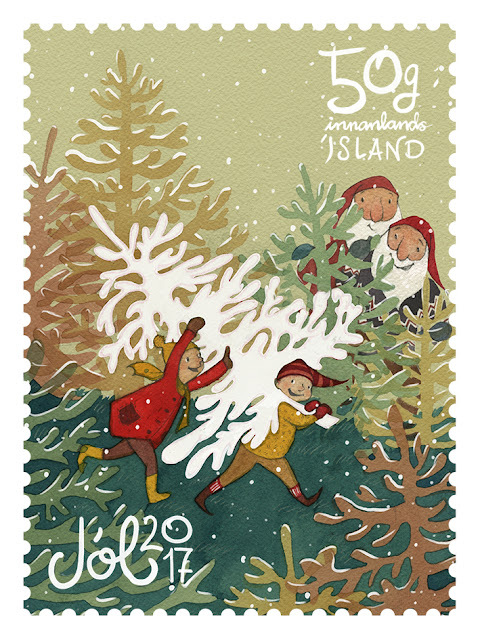 I was very honoured to be trusted with creating the 2017 Christmas Stamps for the Iceland Post. 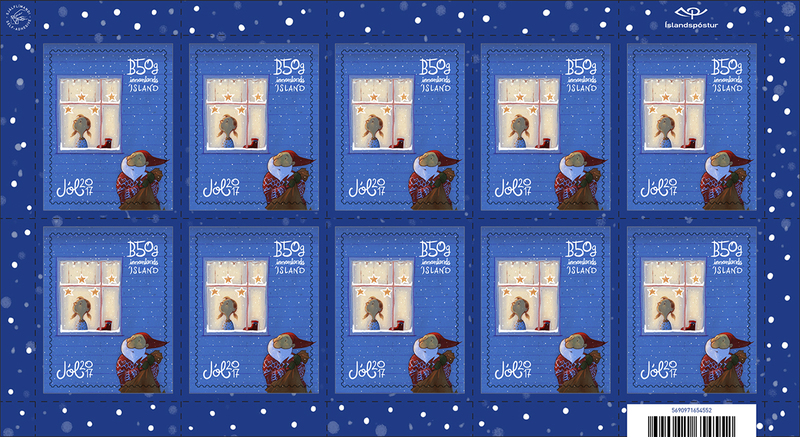 Early this year I forced myself into the christmas spirit and made these three illustrations that will finally see the light of day today, November 2nd! I love christmas, so being in the Christmas mood in March wasn't all that difficult. I got the help of the brilliant designer, Jónas Valtýsson at Studio Erla & Jónas to assist me in the design process. 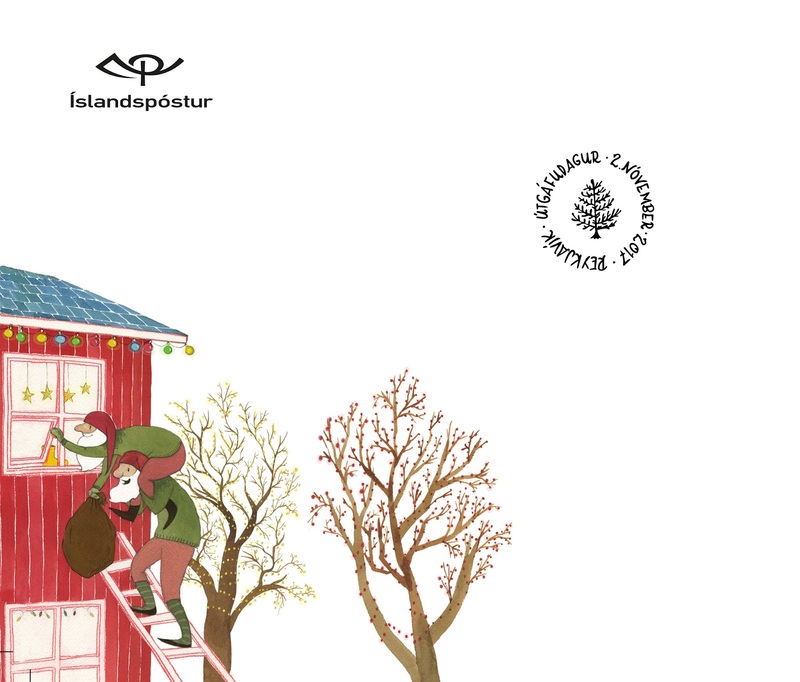 Thank you Jónas!!! 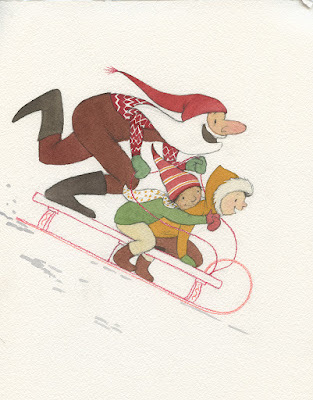 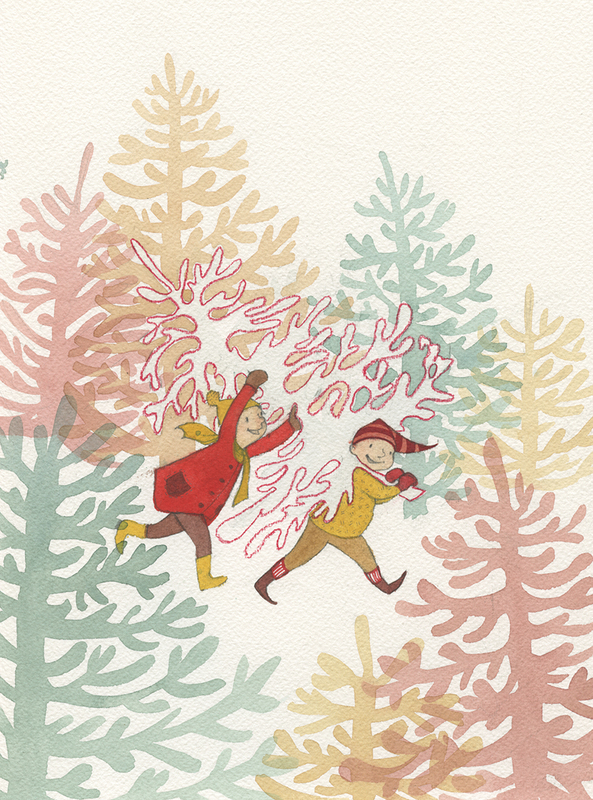 I wanted to capture the joy, beauty and excitement of the season through children. 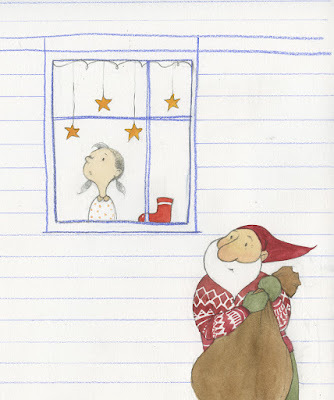 I feel like this time of the year is their moment, the magic of the holidays doesn't get any more sincere than through the eyes of children. 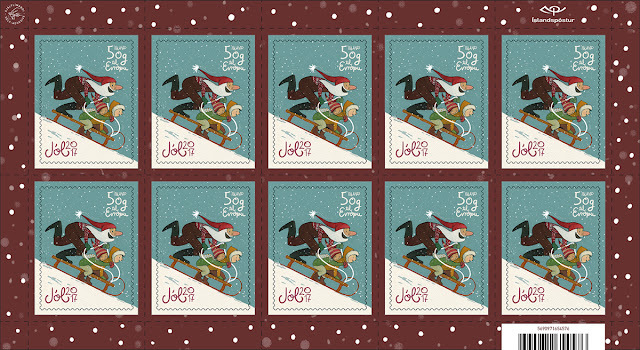 So, here they are, from 1st scan to finished stamps and sheets. 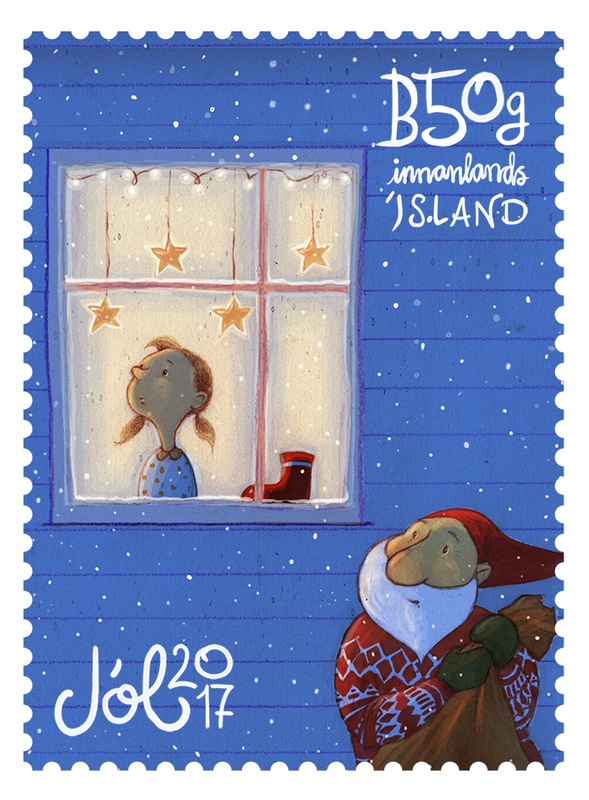 Now go write a Christmas card! Oh, man. I wish we could have the stamps here in the US!